The PetSafe PIG00-14582 Basic In-Ground Pet Fence is a basic fence that costs less than $200 and offers some essential features. Along with the Run Through Prevention, Anti Linger and a Safety Time Out features you get a system that can cover up to 5 acres and can be used on dogs in the 8-125 lb range. 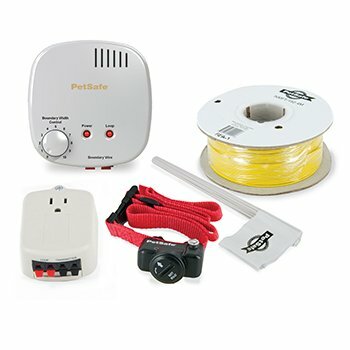 In 1991 PetSafe introduced their first DIY electronic dog fence and since then they’ve made it their mission to product top of the line fences and pet products. The PetSafe PIG00-13661 In-Ground Fence is PetSafe’s updated entry-level containment system and it’s a solid reliable fence that comes at an affordable price. 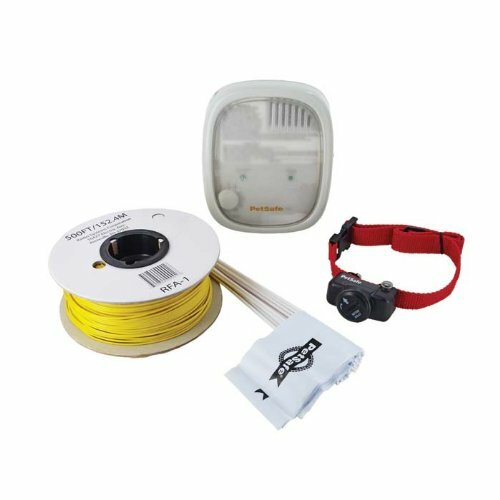 For under $200 you get a transmitter that’s powerful enough to cover up to 10 acres, a receiver collar that’s known for its durability and system that’s safe and effective for any dog in the 8-125 lb weight range. Since 1991 PetSafe has devoted their time and efforts to making the highest quality pet products on the market. Their commitment to superior pet containment systems is second to none and they’ve developed a line of electric dog fences that’s known for its safety and reliability. 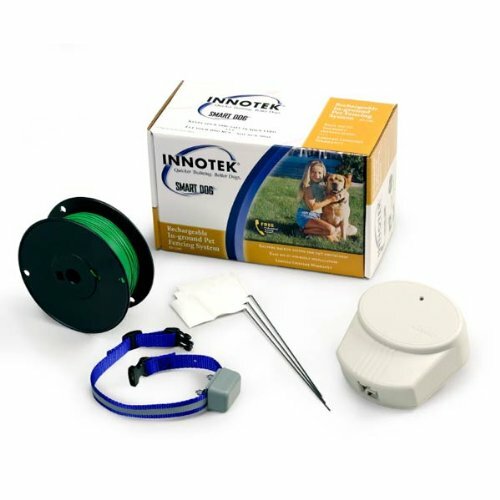 What sets the Innotek SD 2100 Rechargeable In-Ground Pet Fencing System apart is that it offers high end features at a very affordable price. 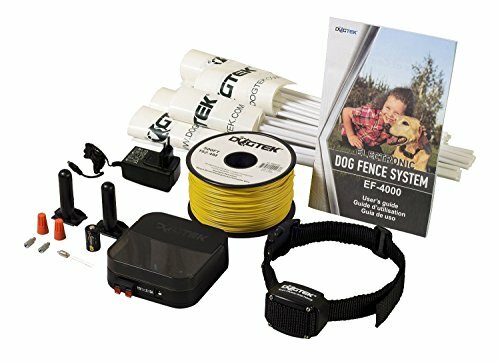 This system is the least expensive underground dog fence on the market that offers a rechargeable collar. Along with that you get a solid transmitter that’s powerful enough to cover up to 25 acres and comes with a built in battery backup. With more of the essentials and a reasonable price point, the SD 2100 is definitely a step up from Innotek’s entry level containment system, the SD 2000.